This past Friday professor Chitralekha Zutshi, and the DC Center, hosted a conference on Kashmir to discuss its history, politics, and representation. This was an absolutely incredible experience, so much so that I’m going to take the next 500 words or so and lay it on you. The afternoon began with a panel featuring two Indian journalists. The first was Sagarika Ghose who is a consulting editor for the Times of India. The second was Rajdeep Sardesai who is also a consulting editor, but for the India Today Group. Professor Zutshi and Professor Irfan Nooruddin lead the panel as discussants. In her opening statements, Ghose asserted that the Indian media is creating a narrative that only emphasizes the fact that “Kashmir is boiling.” The Indian media’s popularity in Kashmir is very low. No one connected to the media is trusted, and Indian journalists have trouble sending out a more nuanced story because of this lack of trust and the fact that Indian viewers and readers are only looking for stories created through a hypernationalistic lens. This nationalistic reporting style of the Indian media only further alienates the youth in Kashmir and drives them towards Pakistan. Nooruddin asked the question, “What role does the media play in governance?” And pointed out in very few cases does the media actually act as a check on democracy. The second panel featured essayists from Professor Zutshi’s soon to be published book: Christopher Snedden who has studied Azad (“Free” or Pakistan-administered) Kashmir, Shahla Hussain who has studied what exactly “Azadi” (freedom or independence) has meant for Kashmiris, and Dean Accardi who has studied the impact of Kashmiri saints on politics today. After the conference, the DC Center hosted a great reception. The menu included really good chili, great artichoke dip and a cheesecake bar with little mini cheesecakes to put all sorts of fun toppings on. 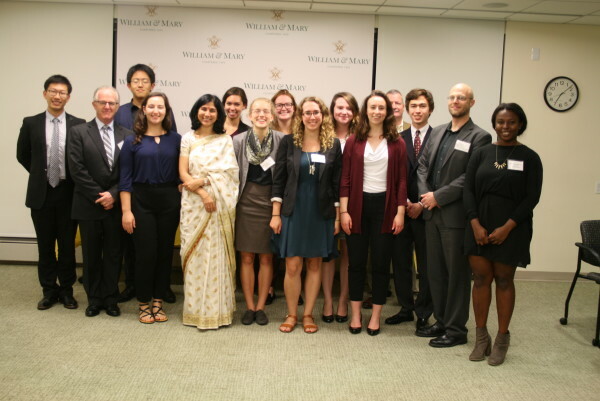 The reception was a wonderful opportunity for all of us DC semester students to connect with the speakers and alumni who came for the conference, and impress them with our quick wits so that one day they would think about hiring us. In all seriousness though, it was a prime opportunity to discuss with professionals in our fields about what the next step is. So a big shout out to Professor Zutshi and the staff at the DC Center for putting on a great show. Many thanks from all your students. 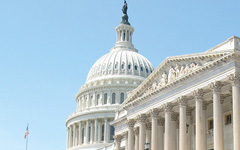 Get connected to the Washington Center!